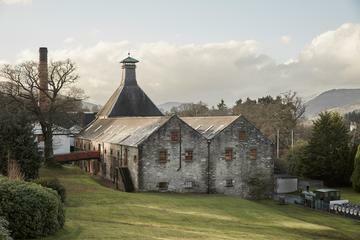 Just three miles from the birth place of founder John Dewar, the Aberfeldy Distillery is the only distillery built by the Dewar family. Your experience includes a distillery tour and access to the atmospheric warehouse where you can hear about the angels share and how the whisky is double aged for a richer smoother flavour. Also included is the heritage centre offering a unique insight into founders; John Dewar and his sons Tommy and John Alexander. Enjoy a dram (over 18s only) in the whisky lounge with comfy sofas and warming fire as well as free wifi.